In the past 2 years I have been searching for answers to help the world’s poorest. My search led me to setting up Oz Fair Trade in the hope that I could help some people to improve their living standards through their skills and a fair trading system. At the moment Oz Fair Trade only deals with handicrafts, which many women rely upon for a sustainable income, as land becomes a scarce resource in many developing countries. I was thinking about expanding into food such as coffee and tea, but decided to postpone the plan because there are a few businesses in Australia that are doing a wonderful job in this field (such as Republica). The night was very educational for me, as my knowledge of fairtrade concentrated on handicrafts not food. You’d think that farmers are the ones closest to food so why are they starving? One answer is that farmers are pressured by global economic systems to grow “cash crops” such as cotton. It’s all good when they get a good return, but the reliance on a single product inevitably makes one vulnerable to price changes. Other answers include their reliance on good weather conditions, unfair prices set by powerful buyers, corruption, land grabs etc. The problem is not that we are not growing enough food. 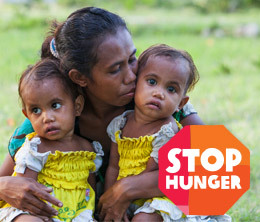 The problem is that a lot of the food is wasted instead of feeding the people who need it most. The world food system, as part of the global trade system, is broken. Governments have been shown to be powerless in terms of driving changes. 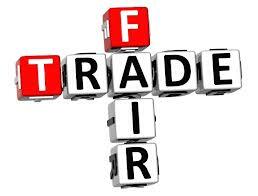 NGOs have been doing great jobs such as pushing for Fair Trade. There are many ways to fix the system e.g. fairtrade, microfinance, microinsurance, addressing climate change etc. As consumers, we have so much power that we don’t realise. Again and again, it has been shown that companies do listen if we are loud enough and care enough. Oxfam recently exposed ANZ’s involvement in a sugar plantation investment in Cambodia which forced hundreds of farmers to leave their farms. This contradicts ANZ’s social responsible policy. As consumers, we can hold them accountable. Be sure to be loud and clear. Molly pointed out that in UK more than 80% know about fairtrade and more than 50% regularly buy fairtrade. In Australia, 50% know about fairtrade and 15% regularly buy fairtrade. This confirms my feeling that a lot more can be done in Australia. If you are interested in how to fix the world food system, you can find useful information on Oxfam’s website. If you are interested in fairtrade handicrafts please checkout my not-for-profit social business Oz Fair Trade where customer service is guaranteed! Oxfam recently launched a campaign “Meet Wakami” to add a personal spin to the fair trade products they sell. I love the campaign, and ideally I would love to tell the personal story behind every product we sell.This is something we will explore in the near future. One fundamental difference between fair trade and free trade products is that, fair trade cares about artisans and values their individuality and creativity. I have met talented artisans who were forced to work on repetitive tasks in a crowded factory for 14 hours a day for less than $2. Until fair trade is embraced by consumers, these people will continue to suffer.